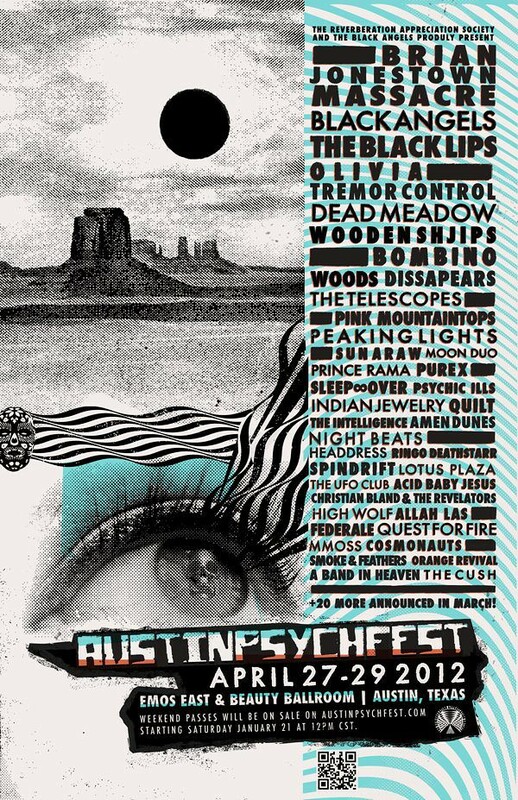 The 2012 Austin Psych Fest has revealed its initial lineup moving from the Seaholm Power Plant last year and now taking place for the first time at the Emo’s East and the brand new Beauty Ballroom, the festival be held on the weekend of April 27-29. Artists include Brian Jonestown Massacre, The Black Angels, The Black Lips, Pure X, Sleep Over and more. Weekend passes will be on sale on the festival’s website starting January 21 at Noon. More artists will be announced in March along with set times and day tickets.